Home Troubleshoot Steps to Safeguard your Bank account against Phishing! 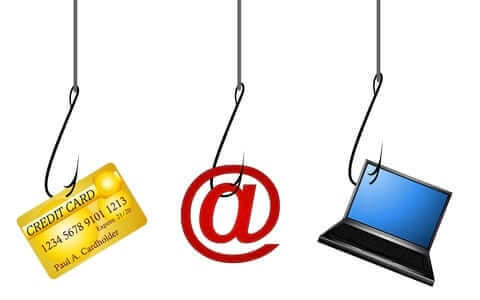 Steps to Safeguard your Bank account against Phishing! 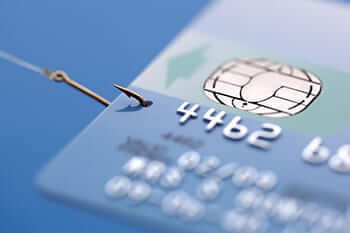 Safeguard your Bank account against Phishing! : Phishing is a practice of sending emails pretending to be from well-known companies in order to steal personal details and information. Phishing is a common practice used by hackers to steal bank account details. You must have read many emails pretending to give high rewards or prize money in exchange of some small transactions. Always transact on a secure website, denoted by HTTPS. HTTPS websites are secured with SSL certificates (Secure Sockets Layer) which is a standard security technology. SSL creates a secure link between the web server and browsers. This will hence secure that all the data packets flow will remain private and integral. HTTPS certificate can be easily seen on the top-left corner of your browser address bar. Download Apps and Desktop softwares from authorized sites. Try not to download Android apps from Thirld Party websites. Also, download softwares from authorized sites. There are many phishing softwares that might damage your PC and steal vital information. Keep in mind that you always have an anti-virus software installed on your PC. Also, enable firewall in your system. This will decrease the chance of any Thirld-Party attacking your PC. Never provide your banking credentials on a website with non-HTTPS certificate. Google Chrome has now made it mandatory to show SSL or Non-SSL secured website. Hence, you can easily know whether a website is secure or not. Never try to contact e-mail spammers pretending to give you a huge prize money. Almost every of such email can be easily related to phishing. You should never share your Banking credentials with any third-party or a website link. Never share your Bank account number or ATM pin to links claiming from Banks. Nowadays, a lot of hackers are pretending to be from a respected bank and trying to steal information. Always note that a Bank will never ask you to give your banking credentials. Never store your Bank account details on a notepad file of as an email. It is a bad practice to store your important credentials in a notepad file. Windows Firewall: It is a good practice to keep your windows firewall ON. This will secure your connection from unknown sources. To open Firewall, Go to Control Panel and Click on Windows Firewall. Email-Filtering Tools: Gmail can easily filter whether an email is a spam or not. But you can always use some free email filtering tools such as MailWasher, SaneBox, MailScaner etc. These tools can easily differentiate between a spam or an important mail. Web Browsers: Always choose a reputed web browser such as Google Chrome or Firefox. Chrome can easily show you whether a website is SSL secured or not. Hence, I will recommend to go for Google Chrome. Password Creator: You can use a password creator to create really strong passwords for your registration use. Password generators are mostly available online as a website. Some of these websites are: passwordsgenerator.net, random.org, lastpass.com, safepaswd.com etc. Encryption tools: Encryption tools can be used to encrypt vital information on your PC. Since, it is not a good practice to store bank details on your PC, you can still use encryption tools to safeguard them. Some of the best encryption softwares are: Veracrypt, Axcrypt, BitLocker, GNU Privacy Guard etc.